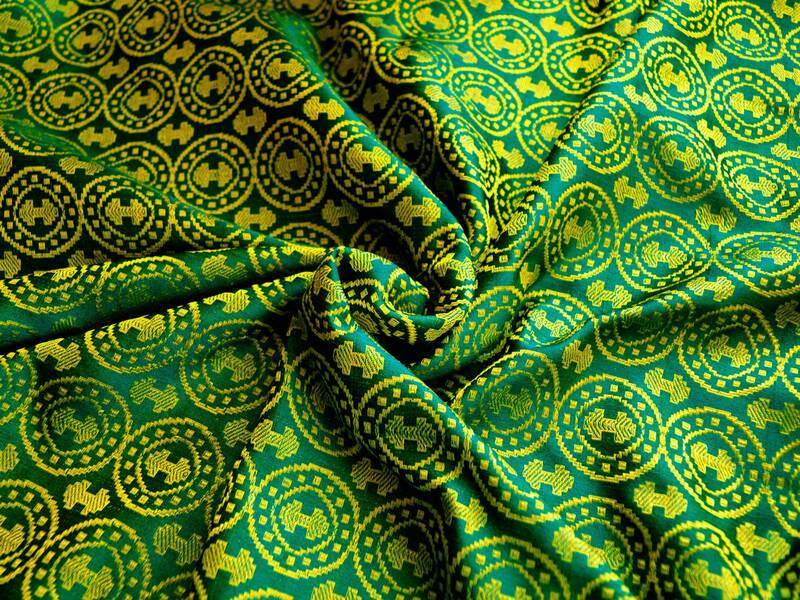 100% natural silk brocade fabric in eye-catching double-axe pattern with and without medallions around them, in beautiful, deep green and yellow colours. Based on fragments of silk fabric found in Moschevaya Balka, famous for it's caftan and other clothes. This beautiful, shiny silk will be perfect for trimming or for sewing whole costumes. The fabric shines beautifully and looks differently depends of light and its position. Fabrics made in double-axe pattern are of Central Asia origin, dated to VIII-Xth century. Similar patterns or its variations are also know from Oseberg burial (according to book M. Vedeler: "Silk for Vikings"). 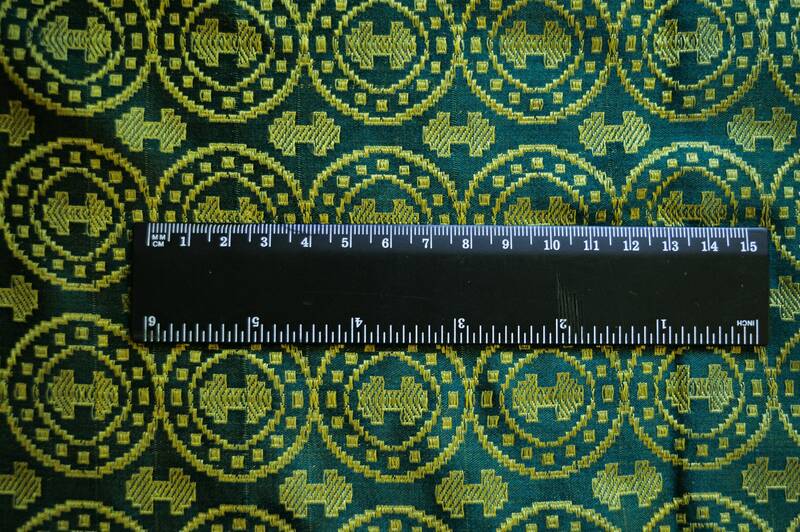 Width : about 110 cm (44 inches). Please dry wash or wash in cold water with no detergent.